Practice the questions given in the worksheet on multiplication table of 15. The questions are based on finding the product using the multiplication table of 15. 1. Count forward by 15’s from 15 to 300. 2. Count backwards by 15’s from 300 to 15. 4. Find each product using above multiplication table of 15. 5. There are 6 sweets for each boy. How many sweets are required for 15 boys? 6. If there are 15 plants in each of 7 rows, how many plants are there in all? 9. (i) What are 15 nines? (v) What are 4 times 15? (ix) What is 15 multiplied by 6? (x) 8 multiplied by 15? 10. What does 15 × 4 mean? What number is it equal to? 11. How much money will you have to pay for buying 15 stamps of 3 dollars each? 12. Rachel has 9 dolls. She has 15 dresses for each doll. How many dolls dresses does she have in all? 13. (i) How many fifteens in 105? (ii) How many fifteens in 60? 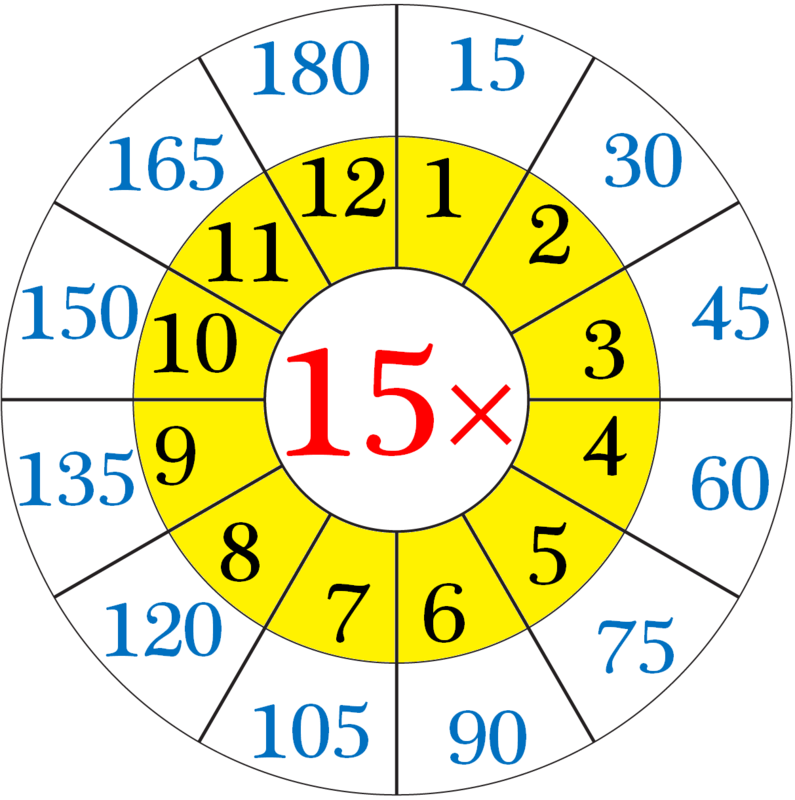 (iii) How many fifteens in 150? Answers for the worksheet on multiplication table of 15 are given below to check the answers of the above multiplications. 1. 15, 30, 45, 60, 75, 90, 105, 120, 135, 150, 165, 180, 195, 210, 225, 240, 255, 270, 285, 300. 2. 300, 285, 270, 255, 240, 225, 210, 195, 180, 165, 150, 135, 120, 105, 90, 75, 60, 45, 30, 15. 10. 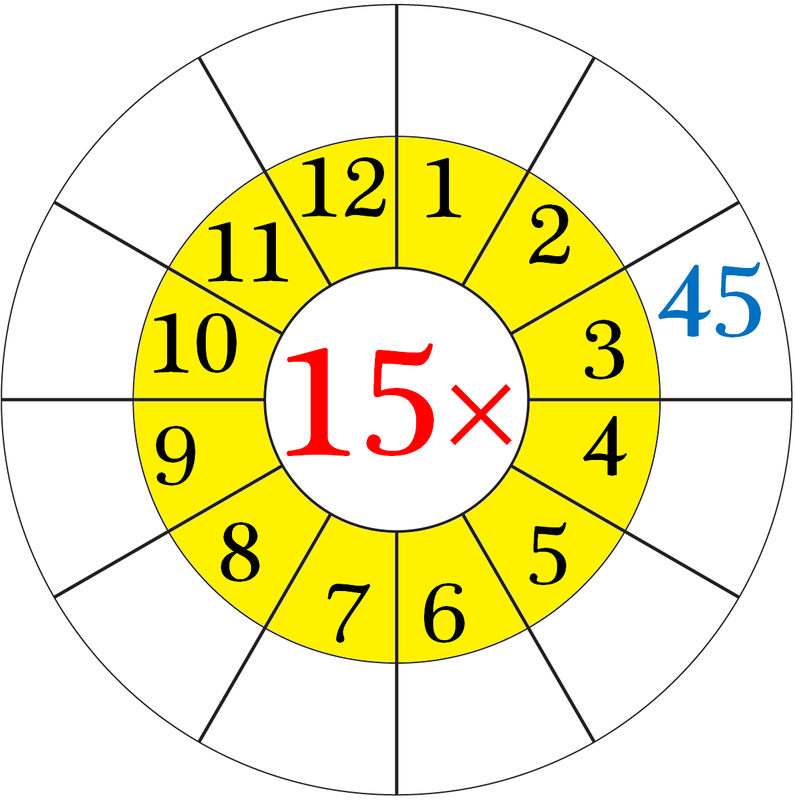 15 × 4 means that the 15 and the 4 are multiplied together or ‘fifteen fours’ or ‘fifteen times four’.